Tuskegee Airmen 1941-1945 shares the memories of 22 original Tuskegee Airmen and their experiences as African American combat aviators during World War II. 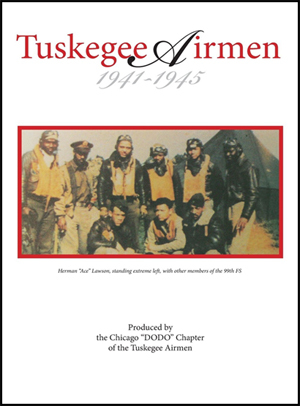 Filled with photographs, combat records, mission reports, official correspondence, newspaper clippings, and the personal annotations of the original document owners, Tuskegee Airmen 1941-1945 provides a singularly unique resource for anyone researching the history of these legendary aviators. The first aviation class of Tuskegee Airmen, which comprised 13 cadets, began at Chanute Airfield in Rantoul, Illinois, on July 19, 1941. These cadets received ground school training in subjects such as meteorology, navigation, and instruments. Successful cadets then transferred to Tuskegee Army Air Field in October 1941 to complete pilot training. From 1941 to 1945, more than 900 pilots were trained .